3 Beds 2 Baths 1,770 Sq. ft. If you want a move in ready house w/a large yard & NO HOA then your search is over! 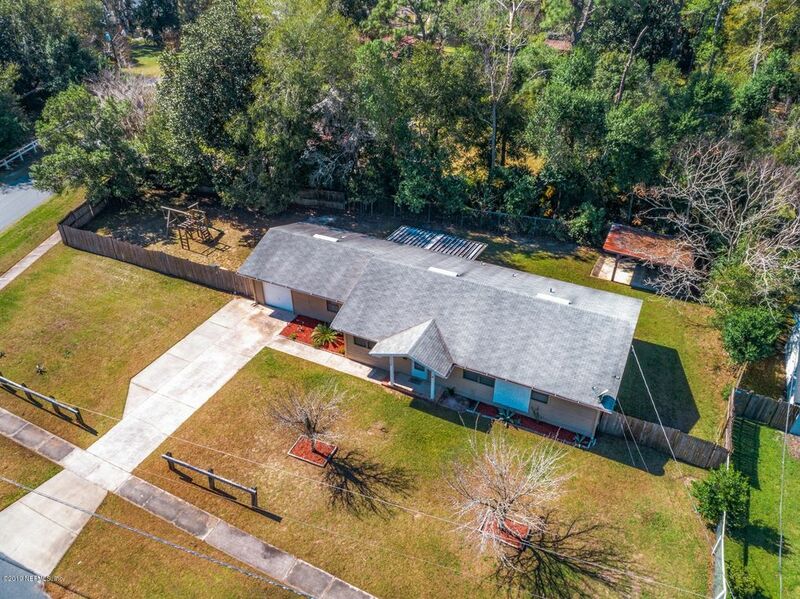 Check out this house just minutes away from shopping, retail, dining, I295, St Johns Town Center & Beaches but yet feels like you are in the country! Best of both worlds! Nice wood laminate & tile throughout! High ceilings, lots of windows, huge Gathering room & formal dining area along w/ space for table in kitchen. New(er) stainless steel appliances & huge pantry;! Termite bond, 1 yr home warranty 2-10 $540; roof 2006; HVAC-2018, fenced yard, playset, gazebo-room for a pool too! Extended driveway for additional parking; one car garage. Septic tank pumped-2018; exterior painted-2018; 180sf screened porch overlooking wooded view! Priced to sell fast!! Directions: From Atlantic Blvd, head south on to Southside Blvd Service Rd. t/L on Eisenhower Rd which becomes Hilltop Blvd. House will be on the left on corner.